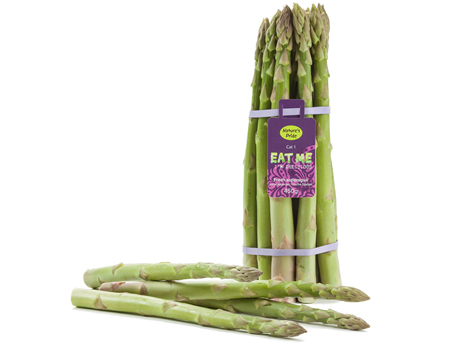 "Cold snap led to unexpected late start for Mexican asparagus season"
The Mexican asparagus season is about to start again. Last year in week 3, there was already plenty of product available in Europe. This year, however, the volumes are lagging. "It has been freezing in Mexico in recent weeks. This cold weather has delayed the supply. We expect the large quantities to only arrive in week 6/7", says buyer, Joost Schoondermark from the Dutch company, Nature's Pride. "Up to a few weeks ago, the season was expected to start early again. However, the cold weather has thrown a spanner in the works. So, it is actually more of a normal season", says Joost. According to this buyer, the planting of green asparagus in Mexico is comparable to that of last year. Good volumes are expected. "The peak will be between weeks 8 and 11. So, then it is really promotion time." Meanwhile, the Peruvian supply is declining sharply. "Mexico was on the market very early last year. The indication was that this would be the case this year too. Therefore, Peru's volumes were finished on time", says Joost. "It was also very hot in Peru in recent weeks. As a result, the quality and volumes have also decreased. Regarding volumes, it has been a good season in Peru. But the Peruvian growers will not look back on the season with satisfaction. This is partially due to the higher airfreight costs and the Mexican competition. These factors mean the growers' prices were considerably lower than the previous years."